Read Understanding navigation, searching and browsing … to understand the basic search function better. This selector will only be shown if you have more than one Custom Post Type. The CPT selector defaults to the current CPT of a Listings, detail or search page. For example on an Events category page, Events will be listed first in the selector. On a location page or any standard WP page or post, the order of the CPTs in the selector can be determined by changing the order at GD > Custom Post Types > Choose a CPT > Advance Mode tab > Order in post type list (Custom Post Types addon required). 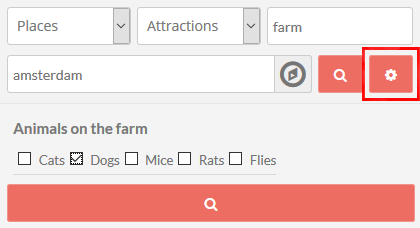 The categories drop down can be set up for each Custom Post Type and the Advanced Search addon is required. Activate the Advanced Search addon. Go to GD > Place (or other CPT) Settings > Custom Fields tab. The Search bar priority setting allows you to move the Category selector left or right in the main search bar. 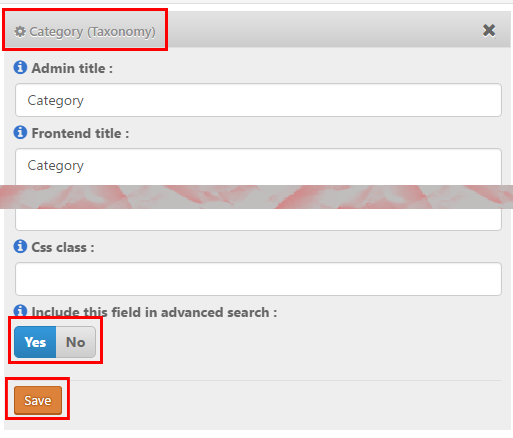 GD will check the entry titles, description and taxonomies (tags and categories) of the listings. The search will not check custom fields or locations. The search will only search one Custom Post type at the time. With the Advanced Search addon, you can set this field to auto-suggest listings based on the title of the listings, see Search Autocompleter settings. You can change the default text at GD > Design > Search. The default GD search is not an IN search, but a search NEAR THE CENTER OF. If you enter a ZIP or a postcode, be aware that that postcode might be used by different countries in the world and might return results around the center of a city in a different country. A similar issue might occur for place names of cities in different countries. Please review Add location specific text to (Near) search for Google. Although the default search for this field is a NEAR THE CENTER OF search, with the Advanced Search addon, you can set this field to auto-suggest locations based on the title of the listings, see Near Autocompleter settings. This compass will only show if you have the Advanced Search addon active. Also review the Geolocation settings. This will only work if you have the Advanced Search addon active. Create your custom fields at GD > Place (or other CPT) Settings > Custom Fields. will be filtered to only return those listings that have dogs. 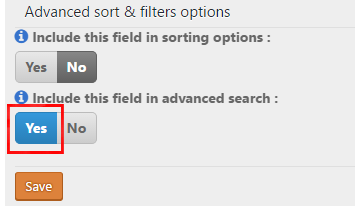 Select custom fields can also be added to the search bar – but only Select, not Multiselect or any other, they can only be added to the Customized Search section as explained above. Follow steps 1 to 4 from 6. Filtering with custom fields above.